Toronto Police say they have identified the woman but will only reveal the woman’s name after she is formally charged. Police are trying to make arrangements for her to turn herself in. 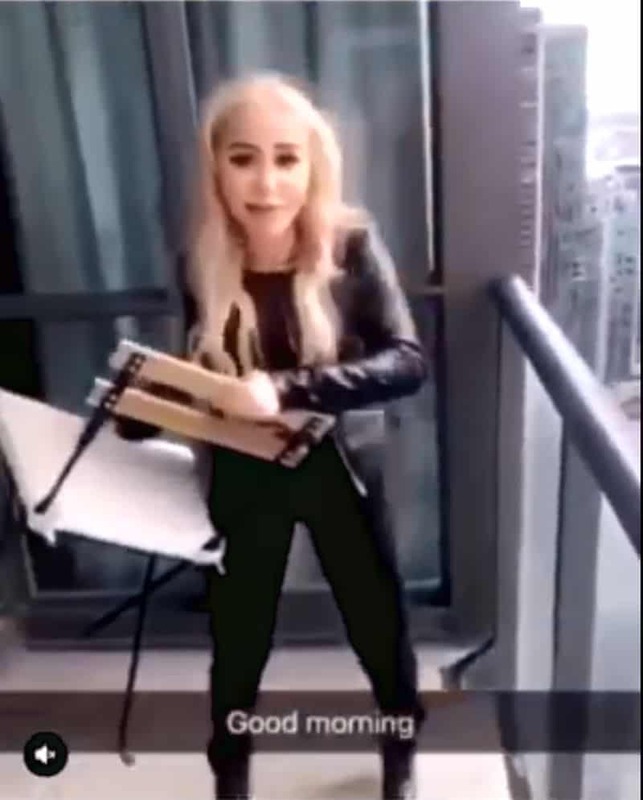 TORONTO Police are requesting the public’s assistance identifying a woman wanted in a ‘mischief-endanger life’ investigation in which she threw a chair – as well as other items – off of a balcony from a very high floor in a building in the Harbour Street and York Street area on Sunday, February 10. An Instagram video showed her throwing the chair toward the Gardiner Expressway below. The woman is described as being in her 20s, 5’1″ – 5’2″, 110 lbs., slim build, long blond hair. She was wearing a black leather jacket, black clothing and black high heels. Anyone with information is asked to contact police at 416-808-5200, Crime Stoppers anonymously at 416-222-TIPS (8477), online at www.222tips.com, online on our Facebook Leave a Tip page, or text TOR and your message to CRIMES (274637).